With the 2018 Dakar Rally coming to an end in Córdoba, Argentina, Rockstar Energy Husqvarna Factory Racing teammates Pablo Quintanilla and Andrew Short have both successfully made it to the finish of this extremely challenging event. Following two weeks of racing Quintanilla secured a strong 8th place in the final motorcycle class standings, with rally rookie Short bringing his FR 450 Rally machine home in 17th position. For reigning Rally World Champion Quintanilla, the 2018 Dakar Rally brought some mixed fortunes. Securing a total of five top five stage finishes, he also ran as high as runner-up in the provisional overall standings. The Chilean rally star battled through all that was thrown at him to finish the fourth Dakar of his career. "I am happy to finish and feeling good despite a few difficult days," said the Chilenian after the last stage. "Things didn’t go to plan in the last stage, but the whole Dakar has been a tough one for me. I think I had all my bad luck in one race. I would like to thank all the Rockstar Energy Husqvarna Factory Racing team who have had to work extra hard over these two weeks. We didn’t get the result we hoped for but we have finished the rally in a good position. Now we will look forward to next year where we can improve for Dakar 2019." 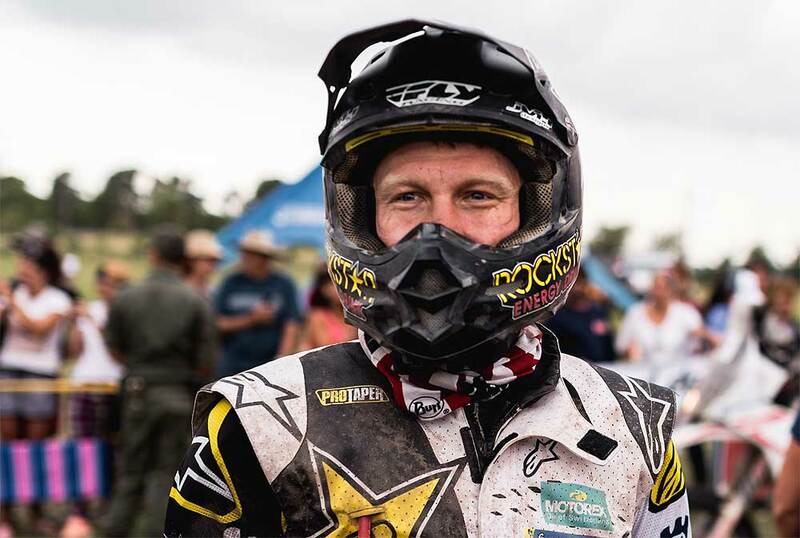 Husqvarna rookie Andrew Short put in a solid run in his very first Dakar, earning a spot inside the top 20 in the final standings. Learning and improving as the race went on, the acclaimed US racer is already looking forward to a strong 2018 rally racing season. "I’m so happy to make it to the finish," said the US-American. "That has been a very tough 14 days of racing. I hurt my ankle and only just made it to the finish. It’s always been a dream of mine to compete in the Dakar and it’s been interesting how I’ve handled the challenge. We’ve had some adverse weather but that hasn’t been as bad as I had expected, I was ok at the altitude, too." He continued: "I knew I would have some crashes, but to have four at high-speed is something I didn’t expect. The speed is something that has surprised me a little, I’m ok in the dunes and the off-piste stuff, but on some of the tracks you are riding at full throttle for what seems like hours. I thought my overall pace would be a little better, but I have come away from the event having learnt a lot and I know what I need to work on to improve. I’m looking forward to the rest of the season now and then hopefully I’ll be more prepared for the 2019 Dakar."